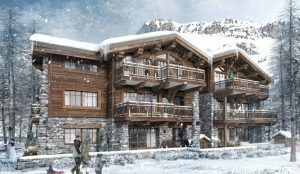 Skiingproperty.com is delighted to offer this new-build development in Val d’Isere, French Alps, which consists of just six high-end ski apartments in a quiet and intimate location. 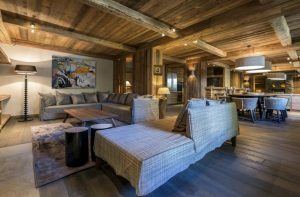 Surrounded by woods and water, each apartment is spacious and finished to the highest standard. 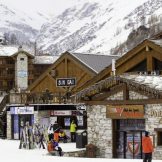 Val d’Isere is a growing and popular resort, attracting more and more tourists over the years, opening up rental opportunities, especially short term. 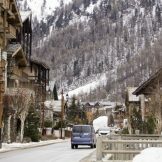 As part of one of the most popular resorts in the world, this alpine resort is popular in winter and summer. 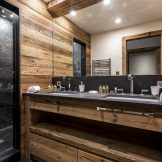 The occupancy rate averages 75% in the winter months, whilst the summer period attracts mountain bike and mountain sports enthusiasts, guaranteeing solid investment yields all year long. The location of these new-build properties is probably their finest asset. 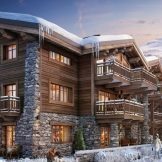 At just a three-minute walk from the centre of the village and only 300 metres away from the Solaise pistes and the ski lift, they are ideally located in a natural and family-friendly environment with each apartment bordering the river. 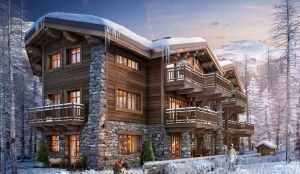 This project consists of six, four-bedroom ski apartments, each spread over approximately 125 sqm. All the apartments are spacious and light-filled, with exterior space, facing both south and east. 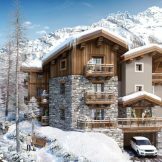 The exterior space of the penthouse will also offer stunning views. 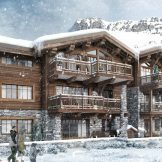 Each apartment includes a ski locker, separate cellar and double parking. 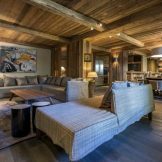 Built in a typical chalet-like architectural style with hand-cut stone, aged wood and slate, these ski apartments nestle perfectly into their surroundings. 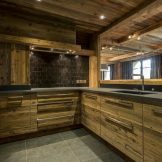 The interiors are modern with high-quality finishes, whilst bespoke finishes are available. 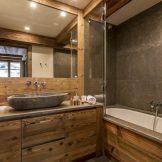 Owners can even customise the layout and design of the rooms depending on the stage of construction. 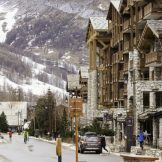 There’s a reason why Val d’Isere is one of the most popular resorts in the world. 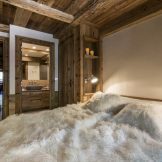 Its distinct and undeniable charm comes from the quaint town centre with traditional alpine architecture and renowned electric nightlife. 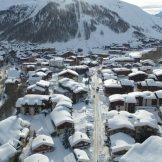 At 1850m altitude, Val d’Isère has great snow records year on year with a vast terrain of sporty skiing, perfect for advanced skiers, and also excellent pistes for beginners. 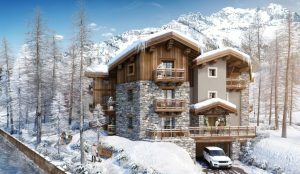 Four bedroom ski apartments, from 125 square metres, priced from 2,250,000 to 2,500,000 euros.